It doesn’t take much for Monty Python fans to recognize this castle as it was here that Monty Python and the Holy Grail was filmed. Situated in Scotland, fairly close to the village of Doune, it has become a site of pilgrimage for all dedicated fans ever since the movie first premiered on March 14, 1975, in Los Angeles, California. 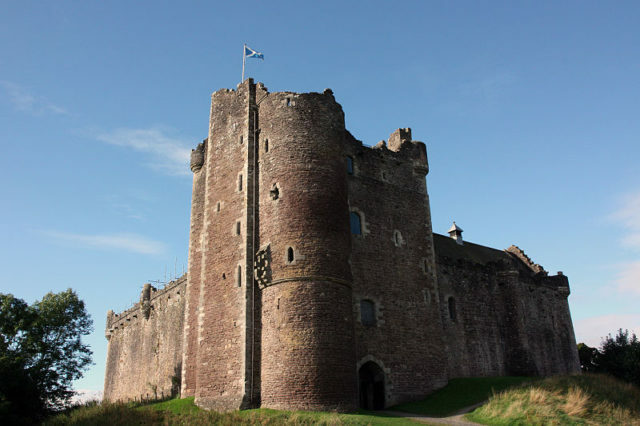 But for those that might have missed out on Monty Python and the Holy Grail, Doune Castle can also be seen in Game of Thrones, where it bears the fictional name “Castle Leoch.” Erected on high ground and carefully keeping a watchful eye over the Teith River, Doune Castle was built in the 14th century. The exact date of its construction remains a mystery that eludes historians to this very day. 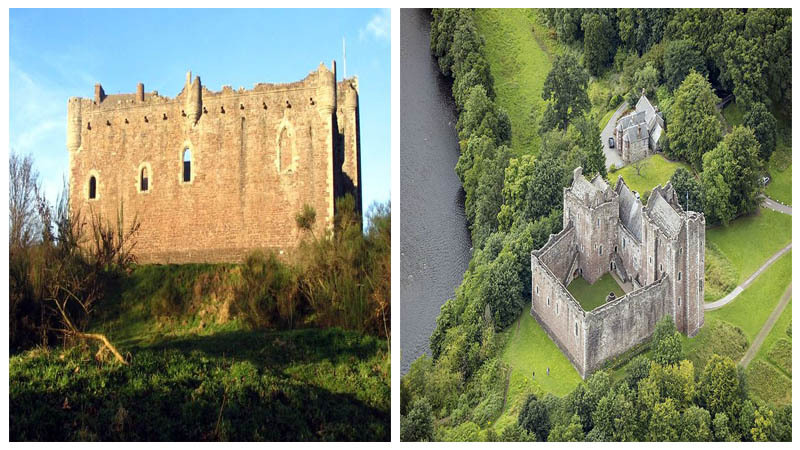 It is known that the fortification was erected for Robert Stewart, the 1st Duke of Albany. 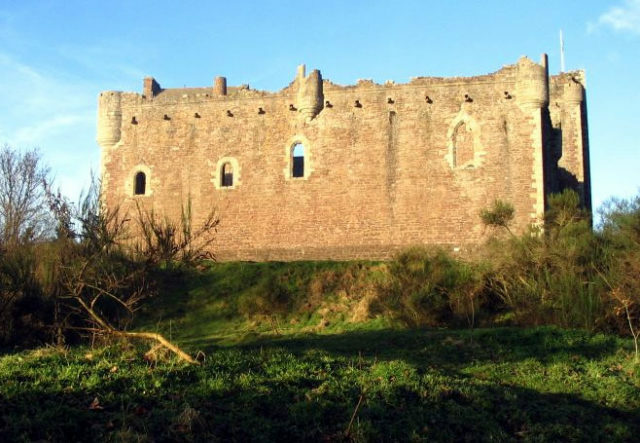 The name Doune comes from the Gaelic word “dun,” which roughly translates as “fort” and hints that there was once an ancient earthworks at the location. Robert Stewart’s castle made sure to erase every trace of this early fort. He was the first owner but not the last, and the site changed hands a number of times. The son of King Robert II of Scotland, he ruled over Scotland for 32 years – from 1388 to 1420 when he passed away. That same year, the castle went to Robert’s son, Murdoch. Unlike his father, Murdoch had no time to enjoy this gorgeous edifice. 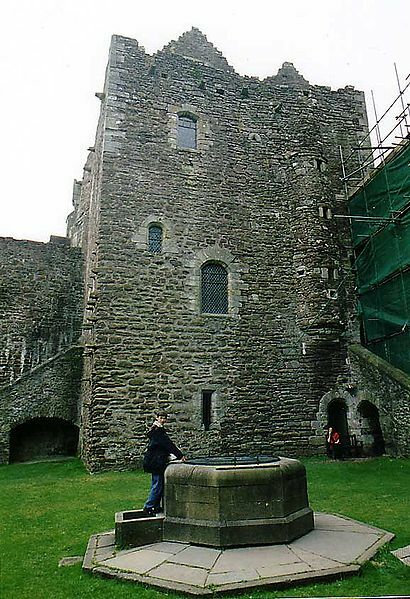 Once James I returned to Scotland after spending almost two decades in England, he quickly took over from his cousin. The castle viewed from across the river. The castle’s architecture was very impressive. With its rectangular gatehouse, it posed a true challenge for anyone who tried to enter without permission. The entrance passage was lined with arrow loops, making it impossible to pass once arrows started to fly from every direction. During James’ time, the site was a popular hunting lodge – partly because of its proximity to the royal court at Stirling. 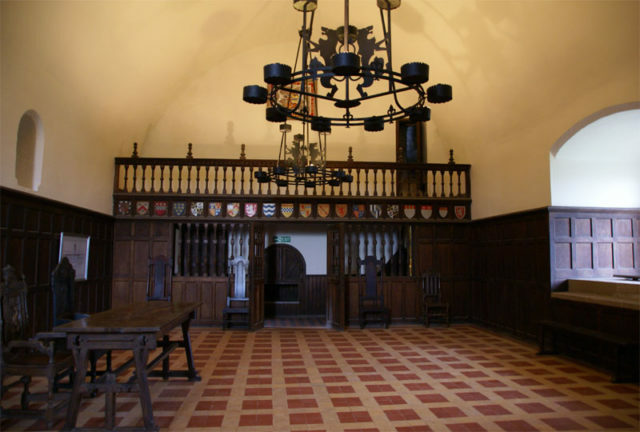 After James I, it kept changing hands and became a home for a couple of famous queens including Mary of Gueldres, the wife of James II of Scotland; and Margaret Tudor, the wife of James IV. 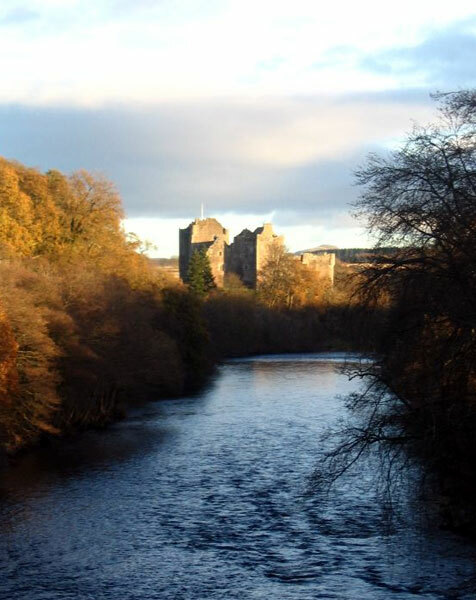 Towards the end of the 16th century, the castle went to the Earl of Moray, Sir James Stewart. A tumultuous period then followed. It was captured in 1745 by “Bonnie Prince Charlie” in a battle for the crown. Towards the end of the 18th century, it was abandoned and was forgotten. It remained that way for almost a century. 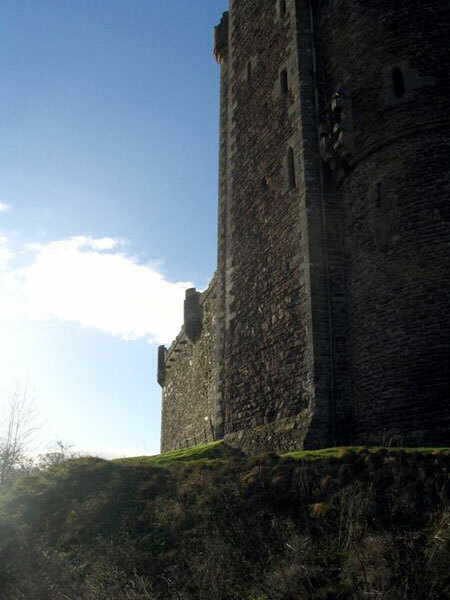 The Earl of Moray took matters in his own hands and rescued the castle from oblivion. It is thanks to him that we can still enjoy the site today. 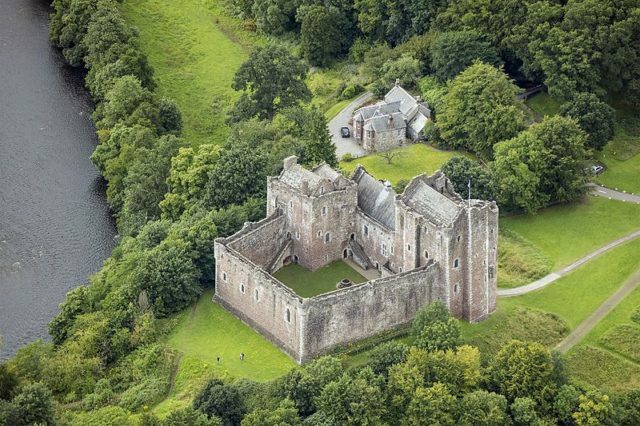 It now serves as a major tourist attraction in Scotland, and people come from all corners of the globe to witness this original 14th century castle or to experience the famous Monty Python location first-hand. You can purchase coconut shells at the reception and create your own Monty Python scene. There is even an annual Monty Python Day which is high on the bucket list of every dedicated fan. For the drama/romance lovers, the castle features in Douglas Camfield’s movie Ivanhoe. It is also mentioned in The Bonny Earl of Murray – a Scottish ballad that dates all the way back to the 17th century.